I don't know about you, but I'm ready to celebrate. 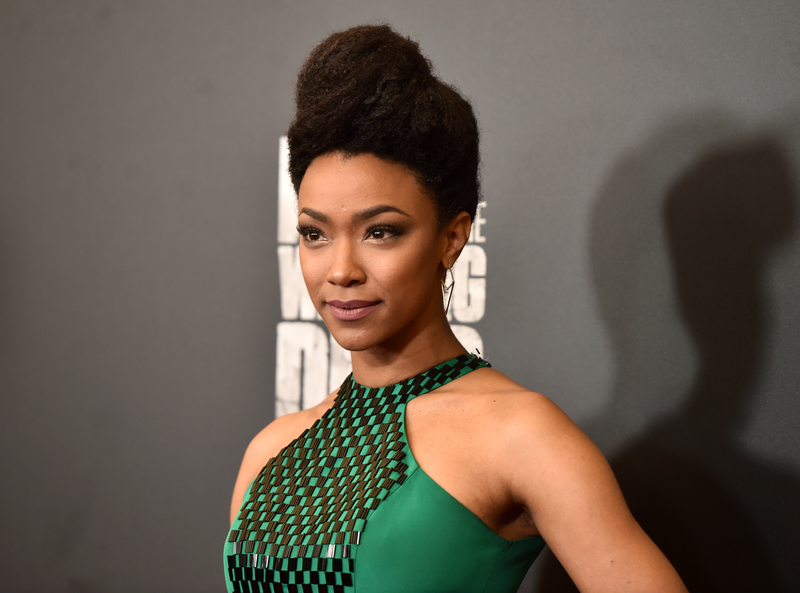 According to sources, The Walking Dead 's Sonequa Martin-Green has been cast in Star Trek: Discovery, which suggests that we're getting the very thing I've been hoping for in my sci-fi media. Namely, a diversity in space that reflects the diversity of life on planet earth. The talented Walking Dead alumn has allegedly been cast as the lead in the upcoming new 2017 Star Trek series, and she will play a lieutenant commander. Her casting would mark a landmark moment in the series; as Entertainment Weekly has already noted, this is the first time an African-American woman has been reportedly chosen as the lead role in the series. When you look at all the announcements about the Star Trek series overall, it's all very promising. Martin-Green's character will be taking commands from Captain Georgiou, also played by a woman of color, Michelle Yeoh. The new series will also feature the show's first openly gay character in the form of Lieutenant Samuels, played by the actor who originated the role of Mark in Rent, Anthony Rapp. It's worth noting for the sake of clarity that, while John Cho stated earlier this year that, in his depiction of Sulu, the character was gay, the actor who first played Sulu, George Takei, argues that, in his version, despite Takei's own sexuality, Sulu was not gay. So having an openly gay character played by an openly queer actor is a big moment for the show. ...We learned that in Star Trek there is an entire universe out there of different varieties of people — and all of them are okay. It was an early lesson in inclusivity. I was living in a household where my dad didn't want me to watch The Jeffersons because it had black people in it. It was that level of kind of small town '70s suburban racism. It makes sense that Fuller took this issue so seriously. Diversity has been a big problem in the sci-fi genre for a while now. In 2014, children’s books publisher Lee and Low Books created an infographic dissecting the 100 top domestic grossing sci-fi and fantasy movies. The results were sobering: only 14 of the movies featured female protagonists and only eight movies featured protagonists of color (six of which were played by one person, Will Smith). And Fuller's right: this diversity was a significant part of Star Trek from the beginning. Nichelle Nichols' breakout role as Lieutenant Uhura in the original Star Trek may not seem all that impressive to modern-day viewers — she gets a fairly limited amount of lines — but, for the 1970s, this was revolutionary. Similarly, George Takei got to take a major role and didn't play a villain (though, his character admittedly wasn't given the same careful character development as the other men in the cast). So I appreciate the Star Trek: Discovery team for achieving the seemingly impossible: making the galaxy look a little bit more like the real, diverse world around us.